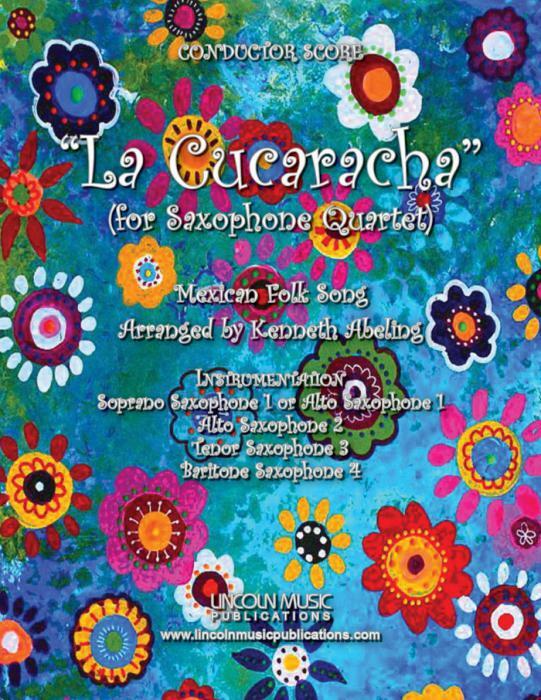 “La Cucaracha” arranged for Saxophone Quartet by Kenneth Abeling. This selection is actually three separate arrangements of the very popular Mexican Folk Song in one to meet any performance need. The first is an easier advanced level theme and variations in 4/4 with a total playing time of approximately 3:25 followed by two more traditional and intermediate level arrangements of the song. The first in 3/4 and the second in 4/4.